Sydney, Australia 2nd September 2016: Land Rover’s acclaimed Discovery Sport is getting a lift courtesy of the company’s award-winning Ingenium turbo-diesel engine. The state-of-the-art 2.0-litre, all-aluminium, four-cylinder engine will find its way under the bonnet of Australian Land Rover’s Discovery Sports for the 2017 model year (17MY). It replaces the 2.2-litre, cast-iron DW12 engine in the Land Rover Discovery Sport family to bring extra “oomph!” to an already impressive vehicle. Already seeing service in the Range Rover Evoque, the Ingenium engine is being hailed as the next-generation of compression-ignition engines, a fresh new design capable of surpassing bigger engines on every front. Since making its global debut the Ingenium engine has been critically and unanimously acclaimed by the world’s automotive press for its impressive performance, smooth operation, efficiency and overall quietness. 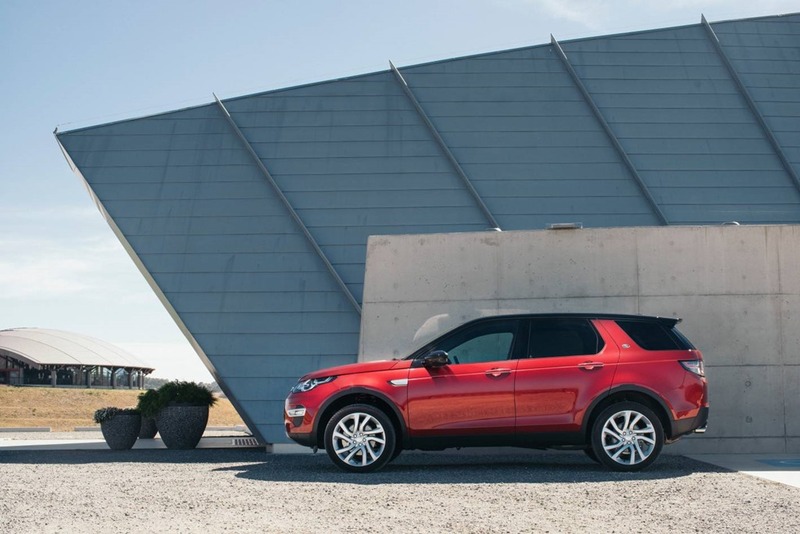 Its all-aluminium construction makes it an impressive 24 kilograms lighter than the current 2.2-litre DW12 engine currently used for Discovery Sport. As befits an engine going into a vehicle wearing ‘Sport’ badging, the Ingenium engine boasts a double overhead camshaft cylinder head design, four valves per cylinder, variable camshaft timing on the exhaust side of the head and twin balance shafts for overall refinement. Jaguar Land Rover engineers have explored every avenue in their quest to maximise performance and efficiency from this engine, which bristles with a level of technology that might seem more at home in a high performance GT car. For example, roller bearings replace machined bearing surfaces on the camshafts and balancer shafts and the engine management computer helps save engine energy by varying the amount of lubricant delivered by the oil pumps to meet demand. Similarly, the water pumps are computer-controlled and adjust coolant flow through the engine depending on temperature, vehicle speed and driving conditions. It also has optimised combustion chamber design and employs the latest methods of friction reduction, thermal management and emissions control to maximise performance, thriftiness and eco-cleanliness. Clean, green and beautifully engineered the Ingenium most certainly is but it is also strong and efficient. In its Td4 150 guise it makes 110 kilowatts of power and 380 newton metres of torque yet runs the same 10.3 second 0-100km/h time as the bigger TD4 version of the DW12-powered Discovery Sport while using much less fuel, a meagre 5.3 litres/100km for the Ingenium compared to 6.0 litres/100km for DW12. Similarly, the more powerful Td4 180 variant, with 132 kilowatts and 430 Newton metres, matches the SD4 DW12 on the 0-100km/h run (8.9 seconds) yet undercuts it substantially on the official average fuel consumption figure, sipping a thrifty 5.3 litres of fuel every 100 kilometres compared to 6.1 for the DW12. Helping the engine achieve those numbers is the latest-generation fuel-injection system and a turbocharger using the latest in turbine design. Fuel is delivered to the combustion chambers in carefully measured amounts by a high-pressure, common rail, direct fuel-injection system and the engine is boosted by a turbocharger using variable nozzle turbine technology. A watercooled intercooler replaces the less-efficient air-to-air intercooler used by many other manufacturers. The Ingenium engine is matched to a nine-speed automatic transmission and fitted with steering column-mounted paddle shifters..
Service intervals for the new Ingenium diesel are improved against the outgoing DW12 powertrain from 26000km/1 year to 34,000km/2 years, significantly improving the Cost of Ownership. 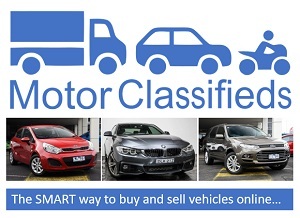 You can now enjoy piece of mind, safe in the knowledge that your vehicle is being looked after by our outstanding fixed-price one payment Service Plan, which covers the vehicle for 5 years/100,000kms, significantly reducing running costs compared to paying for individual services. In addition the Service Plan is transferable to a subsequent owner, meaning they are able to enjoy the benefits of the Plan up to 5 years or 100,000kms. 17MY Discovery Sport service plans start at $1210 for diesel derivatives and $1460 for the petrol. As well as mechanical refinement, Discovery Sport also features operational refinements with Land Rover’s new InControl Touch Pro infotainment system making its debut in the Td4 180 HSE Luxury model alongside the latest Meridian digital surround-sound system. InControl Touch Pro Navigation is a new, fully-integrated navigation system offering a number of user advantages over portable satellite navigation units and smartphone apps. The Meridian system boasts 16 speakers including a sub-woofer and has 825-watts maximum power output, the highest level of any infotainment system available for the 17MY range. Storing its information on a solid state disc (SSD), it features onboard regional maps, predictive navigation, dead reckoning, cluster and Head-Up Display (HUD) support and RSE navigation support. Visuals are provided by a 10.2-inch touchscreen which has almost double the pixilation rate of the standard 8.0-inch screen and information is shown in a 21:9 super-wide format. A dual-view version of the screen has an even higher resolution for full functionality, ensuring there is no loss of display quality for driver or passenger. The display screen is also a button-free zone. ‘Hard’ buttons, that is, with all commands done on-screen with the tip of a finger. InControl Touch Pro is available on the SE and HSE derivatives as part of the optional Entertainment Pack and this includes a television receiver and digital audio broadcast (DAB) radio, while the optional Rear Seat Entertainment pack adds a dual-view touch screen monitor and rear seat entertainment system. For 17MY Land Rover has ramped-up the safety aspect, going well beyond the obvious to assist drivers rather than simply protect its occupants. The hot ticket item is Lane Keep Assist. A step-up from the Lane Departure Warning system introduced in 2015, the optional Lane Keep Assist uses the car’s forward-facing camera to find the lane markings and keep the car between them. If the system detects the vehicle drifting too far left or right in the lane, it gently counter-steers the car back towards the centre. Lane Keep Assist also includes Driver Condition Monitoring, using steering angle data to monitor and analyse driver steering behaviour. Using that data and checking it against other inputs such as speed, time and driver reactions, it calculates a tiredness index and, if necessary, flashes a display suggesting the driver take a break. And while Discovery Sport comes impressively well-specified, it also comes as a proper Land Rover and everything that name stands for in terms of off-road ability. Terrain Response, Hill Descent Control and Hill Start Assist, Electronic Traction Control, Roll Stability Control, Dynamic Stability Control and Trailer Stability Control are all part of the package but for 17MY Low Traction Launch has been added to the arsenal. Low Traction Launch is a manually-selectable driving mode engineered to give Discovery Sport the best start on low friction surfaces. Drivers dial-in the surface type (snow, wet grass or loose gravel, for example) and the electronics choose the appropriate torque load needed for the best wheelspin-free take-off. The success of the Black Pack option in previous model years has spawned the creation of another new exterior pack – the Graphite Pack, and a new look with Dark Atlas for the radiator grille, side vents and bonnet script, Narvik Black exterior mirror covers and a contrasting roof in Corris Grey. There is also a Black Pack LE available on HSE and HSE Luxury models. The Black LE pack will be offered in Silicon Silver, Yulong White and Carpathian Grey body colours and brings with it the Dynamic style radiator grille and fender vents, a black-finished pedestrian airbag cover, lower front and rear valances finished in Dark Techno Silver, a contrasting roof colour, Aluminium Dark Grey vertical IP finishers, privacy glass, ebony headlining, special ‘SPORT’ badging and optional 19 and 20-inch alloy wheels with gloss black finish. * Source: ‘64% of people spend up to 15 minutes per day looking for their belongings’. 2,000 general UK consumers aged 16 and over were surveyed by Tile through independent research company, Censuswide.